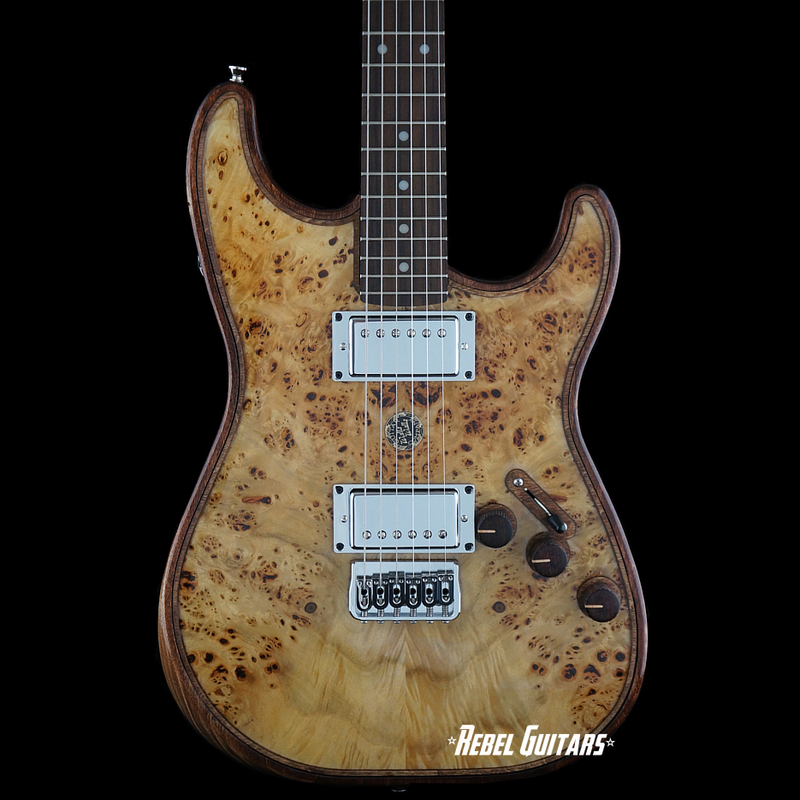 This Walla Walla Guitar Company Seeker Pro Crystal that features a “Super Burl” top inset in a fully chambered Poplar body, a Maple neck, Rosewood fretboard, Seymour Duncan SH-1 ’59 pickups, and Sperzel non-locking tuners. Our Seeker guitars are one of a kind creations. 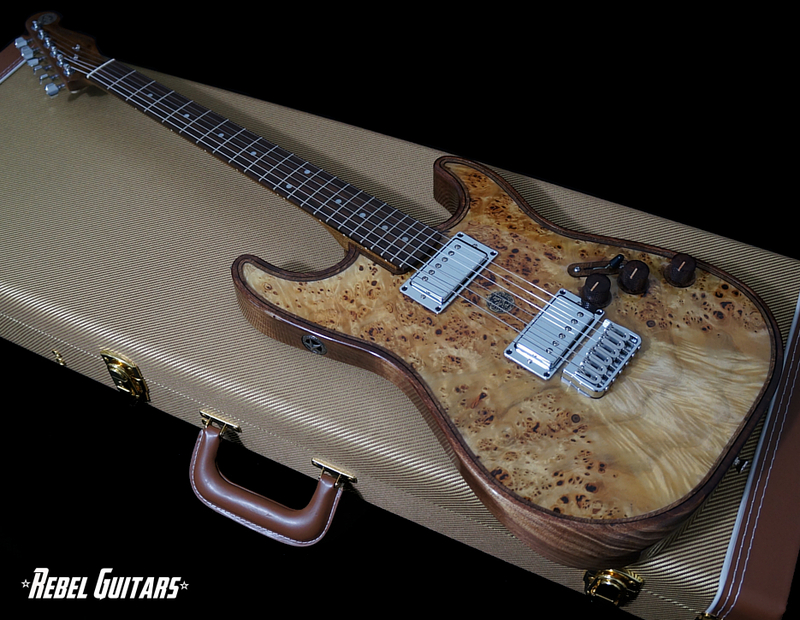 We create guitars with vintage wood, skin, images, graphics, polymers, and almost anything you can imagine. The Seeker is designed to allow the player to create an instrument that is as unique as they are.